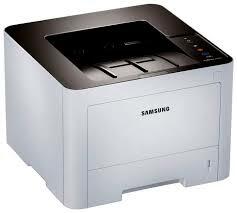 If you are looking for a Heavy Duty Mono Laser Printer that offer high speed printing and yet economical to purchase and run, then Samsung SL-M3820nd Printer is a good choice to consider. As this Heavy Duty Mono Laser Printer come with network connectivity, you will be able to print document from your mobile via Samsung Mobile Print as long as you are able to connect to your network via Wifi. As the printer has a print speed of 38ppm, printing is extremely fast and you can easily print say thousand of pages within a short period of time. You have the option to purchase MLT-D203E High Capacity Toner , whether it is original Samsung or Compatible Toner, will allow you the print up to 20,000 pages with one toner change. Management of the printer can be done via Samsung Easy Printer Manager which is free to download and there is option for you to choose Toner Save Printing. Samsung M3820nd also come with automatic duplex and you can print on both side of the paper automatically without any manual operation. When compared to printers of other brands, you will find that Samsung M3820nd is ahead of competition in term of price as other brands that offer high speed printing of 38ppm are generally cost much more. Samsung M3820nd can be purchased online via our site at AllPrinters. Feel free to contact us if you need to find more information about Samsung M3820nd. If you need an official quotation on the printer, do WhatsApp to us to +60193256289.